WHAT IS A SYSTEMIC YEAST INFECTION (SYI)? It should be noted that a Systemic Yeast Infection or Candida Albicans overgrowth, is NOT an “illness” that your pet can “catch”; instead, it is the result of a breakdown of the natural environment of the GI Tract, which results in an imbalance. Before plunging into the use of our nutritionally-focused program for yeast problems, you may desire at least a basic understanding of the subject. Simply put, there are about 500 different known microorganisms residing in the digestive tract (mostly ‘bacteria’). Some are beneficial and some are not. For ideal health, these bacterial ‘colonies’ form a protective ‘coating’ for intestinal tissue – making up what is known as the “Flora”, which is a necessary component to maintain proper digestion and to help build immunities for good health. In a healthy pet (or person), the large intestine hosts a “balance” of beneficial bacteria, including Lactobacillus acidophilus and Lactobacillus Bifidus, along with potentially harmful Candida (yeast-type fungus & pathogen). Candida is usually kept “in check” by the Lactobacillus bacteria, partially by the production of lactic acid. 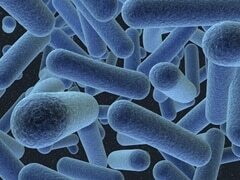 Ironically, Candida actually provides growth factors for Lactobacillus. All these components (and others) exist in a proper natural balance (making up the Flora) until something happens to upset that balance. CANDIDA-YEAST TROUBLES MAY BEGIN. Example indications or symptoms in pets may include: hot spots, rashes under the legs, chronic uncontrollable itching, reoccurring ear or urinary infections, repeated staph infections, skin blackening, acne problems, etc. Although there is no “single factor” responsible for turning this naturally occurring organism into an agent of disease, the Candida species is notorious for being an “opportunistic” pathogen: Candida incites disease in hosts whose immune system (local or systemic) has been impaired, damaged, or is innately dysfunctional. Underlying causes that weaken the immune system and therefore make your pet more susceptible to yeast problems include – cancer, hypothyroidism, and chronic use of antibiotics or cortisone. Candida has a tenacious ability to adhere to mucosal surfaces. This is a necessary step for the initiation of candidiasis, and adherence depends on the immune status of the host. Candida fungus will secrete enzymes which destroy membrane integrity, leading to dysfunction. Candida also secretes toxins which activate the immune system, overload the liver, and then deposit themselves in body tissues. Once within body tissues, these toxins will work their way to skin surfaces, as the skin is one of the primary pathways the body has for the elimination of toxins. Unfortunately, the presence of toxins within the skin or ear tissues is what triggers the immune system to respond – with inflammation, which will, in turn, result in itching. This ‘response’ is what the vet will see and then be led down the path to assuming “allergies” are at fault, as toxins within the skin cannot be readily detected. Superficial Yeast – This is the most common and is characterized by inflammation of tissue linings, i.e. skin, GI tract, pharynx, upper and lower respiratory tract etc. Locally Invasive Yeast – i.e. 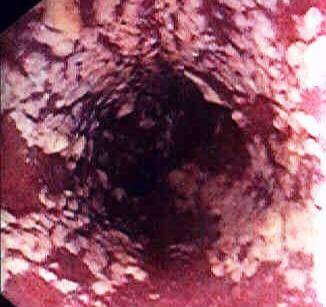 pneumonia, cystitis, esophagitis, the most common being ulcerations of the intestinal, respiratory or genito-urinary tract. Systemic Yeast – This is an invasive infection, characterized by lesions of the heart, kidneys, liver, spleen, lung, brain and other organs. – The inflammatory response must be resolved. – Lactobacillus count needs to be increased in order to help rebalance the GI tract and keep Candida in check. – The immune system needs strengthening, which decreases adherence ability. – Antibiotics, steroids, and other immune-suppressing drugs, along with simple carbohydrate foods, should be avoided. – Digestive secretions should be increased. – Nutrient deficiencies should be reversed. – Liver function should be optimized to increase the ability to filter toxins. – Drinking plenty of healthy, chlorine-free water should be encouraged – to promote toxin elimination via kidneys. The friendly bacteria that normally cover the inner intestinal walls are benign and do not harm us. They don’t make harmful chemicals or provoke immune responses and inflammation. These “microorganisms” actually protect us from the adherence of ‘disease-causing’ bacteria, like Salmonella and Shigella, which cause diarrhea. The sum-total of the billions of ‘friendly bacteria’ that make up the bulk of the intestinal Flora are thought to account for as much as 70% of immune function, while also being responsible for keeping the potentially harmful Candida yeast ‘in check’ (unable to proliferate). This clarifies why damage being done to friendly bacteria colonies by antibiotics, vaccination reactions or other means can wreak havoc on the body – first by destroying much of immune capabilities, then by allowing Candida to proliferate. Yes, when antibiotics are given for an infection, they not only kill bad bacteria that contribute to the infection but can also damage or destroy beneficial (benign) bacteria colonies necessary for a healthy gut and immune system. Also, our pets are regularly subjected to numerous vaccinations, usually several at one time (with Rabies being the worst). This can often upset chemical balance within the body, especially the pH. Such chemistry upset can itself be destructive, making it easy to understand why so many pets end up with Candidiasis, especially dogs. Even STRESS can be a destructive factor, with such events as moving, traveling, or just getting over-excited by people coming to the door. Finally, the Candida ‘fungus’ is unaffected by the antibiotics and, no longer being “kept in check” by the bacteria, readily moves-in and takes over bare and unprotected tissues as the good guys die off. As the yeast (Candida) invades new territory, it entrenches itself and will continue its relentless advance as long as it remains unopposed. But, we certainly NEED antibiotics at times, don’t we? For sure. We all know the importance of antibiotics for a serious infection; this often saves lives or limbs. However, since a side-effect of antibiotics is damage or destruction of the ‘good guy’ bacteria colonies and a resulting in a Gastro-Intestinal imbalance, the real issue is that – when antibiotics are prescribed, a protective Microbial supplement is usually NOT recommended at the same time. IMPORTANT NOTE: A large number of popular big-store offered pet foods these days have antibiotics included in their construction. YOU’VE JUST READ HOW THE CANDIDIASIS CONDITION IS CAUSED. But, all that disruption of the intestinal balance is just where the troubles begin. With the walls no longer protected by the beneficial Flora, conditions are ripe for the inflammatory Leaky Gut Syndrome and then Systemic Yeast (Candidiasis) to take over. The Candida yeast goes through cycles of overgrowth, where toxins are released throughout the system causing any number of various symptoms (see symptoms list). Candida makes a variety of toxic chemicals, which are also destructive to ‘friendly’ bacteria. The making of these chemicals prevents bacteria from coming back and enables the yeast to stay after antibiotics are given. These chemicals include toxic alcohol, acetone, and the nerve poison hydrogen sulfide. These chemicals are very sedating, slow down the brain and may cause chronic fatigue. What Are the Yeast (Candida) Symptoms? Candida symptoms are most often diagnosed as “ALLERGIES” and commonly seen as rashes and skin outbreaks in the paws, face/muzzle, ears, underarms, underbelly or genital areas. Other symptoms include recurring ear infections, eye infections, and bladder or urinary tract infections. In yet other ways, the yeast toxins can cause fatigue, lethargy, immobility, joint pain and discomfort. The animals will experience severe itching, which leads to endless biting, chewing and hair loss. Symptoms may include skin problems like blackening, dry flaky skin or a greasy grit on the skin. As the condition worsens over time, a bad yeasty smell or odor is very likely. Yeast Candida is very evasive – in being resistant and confusing to the body’s immune system. Intense inflammation, as a defensive wall against the yeast, is the main counter-attack offered by immune function. Normally, the inflammation, which creates serious itching and may be painful, can resolve an infection; but Candida resists the immune system, partly by changing its appearance and evading the immune system. As the immune cells circulate and find yeast in other places, such as the skin, they instigate inflammation at those areas. Repeatedly, the immune system has difficulty clearing the Candida, and the inflammation persists while spreading, leading to chronic inflammation on the skin. There are many names for such skin inflammation, on both humans and dogs, including eczema and psoriasis. In the intestinal tract, such persistent inflammation can develop into Crohn’s disease and ulcerative colitis. In many cases, the animals may exhibit pimple-like dermatitis where the skin may be wet with pus that progressively worsens via the aggravation of self-chewing or scratching, resulting in pyoderma or Seborrhea, a Dry type of dermatitis similar to heavy dandruff; or, maybe a Greasy type – yellow-brown greasy scales that adhere to hair shafts, accompanied by rancid odor. Another example would be that of a Lick granuloma (acral pruritic dermatitis): Red, shiny skin ulcer caused by continuous licking at wrist or ankle or foot. This is usually seen to occur in large, short-coated breeds of dogs. THE PERIOD NEEDED – to reverse enough of the Candida overgrowth that visible symptoms have mostly subsided. It is very important to understand that completing the 1st-Phase of cleansing does NOT mean the pet is completely well, as people often tend to assume. For this initial cleansing, expect 3 to 7 months, OR approximately 1 month for every year of the pets’ age, and possibly longer for those pets with a history of medication usages like antibiotics, steroids or antihistamines. 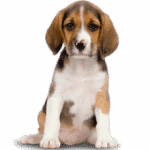 However, puppies still undergoing vaccination protocols have been known to take a longer time to process through cleansing due to the natural weaknesses of their just-developing immune systems. Phase 1 cleansing is assumed to be done when the primary ‘observed’ symptoms have cleared up. IMPORTANT NOTE: Heat can be a major factor! The heat of summer, OR ‘household furnace use’ in winter can cause an INCREASE in the rate of toxin elimination via skin surface. Also, in winter, pets may tend to drink less water; this may also result in more toxin elimination via skin – since, with lower water intake, less elimination will be done via kidneys. THE PERIOD REQUIRED – for final clearing of excess Candida overgrowth (as much as may be possible). This part requires an additional 6 months to a year (or more) for remaining Candida-yeast overgrowth to be reversed by the body – with assistance from the Healthy-Skin Kit products. As this slow re-balancing, the GI tract takes place, problematic toxin elimination (via skin) will be gradually reduced over this period — with related reduction of external symptoms. AFTER-THE-FACT MAINTENANCE – is highly recommended! Once your pet appears completely well, and you have allowed extra time for secondary cleansing, you take a huge risk by stopping the program completely! The chances of the problems returning are very strong; and, you really don’t want to have to go through cleansing again! SO, OUR RECOMMENDATION – is to continue with the basic daily minimums of the NZYMES® (Treats or Granules) plus the BacPak Plus; and, the minimum daily of the Ox-E-Drops is extra insurance against Candida trying to re-grow. Unfortunately, you can never eliminate all the Candida-Yeast; some will always be present – looking for opportunities to take over again! CLEANSING NOTES: The various symptoms, including itchiness and redness of the skin, often appear to worsen during the first 2-3 months of the program; this may begin within 1-3 weeks of program start. This “Herxheimer” effect can produce flu-like symptoms, nausea, loose stools, and diarrhea, or even lethargy problems in beginning stages. So, do your best to support the pets’ needs. Also, please make sure to keep an eye on your pets’ general health and body temperature. Make every effort to prevent them from chewing and scratching themselves to bleeding if possible; refer to Rule 5 of the main instructions for suggestions on how to ease itching (Listerine or baking-soda paste). Do not avoid treatment by your Vet for secondary bacterial infections that can result from pets scratching or chewing on themselves. Once you have ordered and received your KIT, you must work diligently to adhere to our basic “5-RULES” to achieve success – as outlined below. RULE 1 – has 4 parts, as it describes the usage of the Products of the Kit. Each NZYMES® product works internally to assist the body in accomplishing specific goals, while also working in harmony to bring the digestive system back into proper balance. RULE 2 – is simply about obtaining and using correct foods or treats. This is a super important part of the program that must be adhered to for proper success. Those patrons that choose to ignore it or use foods based on store or vet recommendation will have much trouble obtaining progress. For an analogy – imagine yourself washing your car while a bunch of kids continue to throw mud on it. You’d likely get very frustrated. The other 3 RULES, delineated below, include specific procedures or actions to be followed. A most important concept to keep in mind – “We are here to ensure your success; so never hesitate to CALL with your questions or concerns”. So, unless already done, choose and order a KIT to begin your pet on a course that will lead to restored health. The Large Kit is the one more suitable for dogs over 60lbs, or as an economical choice for pets of any size. All Healthy Skin Kits now include a bottle of our Ready-made, 2% Ox-E-Topical Spray Solution. This slender bottle is easy to handle and can be refilled using your Ox-E-Drops concentrate or can be re-purchased. Click Here for full details on this Awesome Product. SPECIAL $$$ SAVING NOTICE: For those Customers with multiple Pets suffering from these conditions, we have made available two Super-Sized Kits that take advantage of our most ‘economical’ purchase methods and provide enough product to handle 3 or more dogs, while saving as much as possible. Based on the Small & Large Kits above, here are Super Kit – Small and Super Kit – Large. 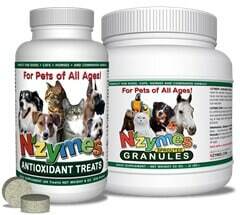 Part A: Use NZYMES® Treats or Granules Internally Each Day! 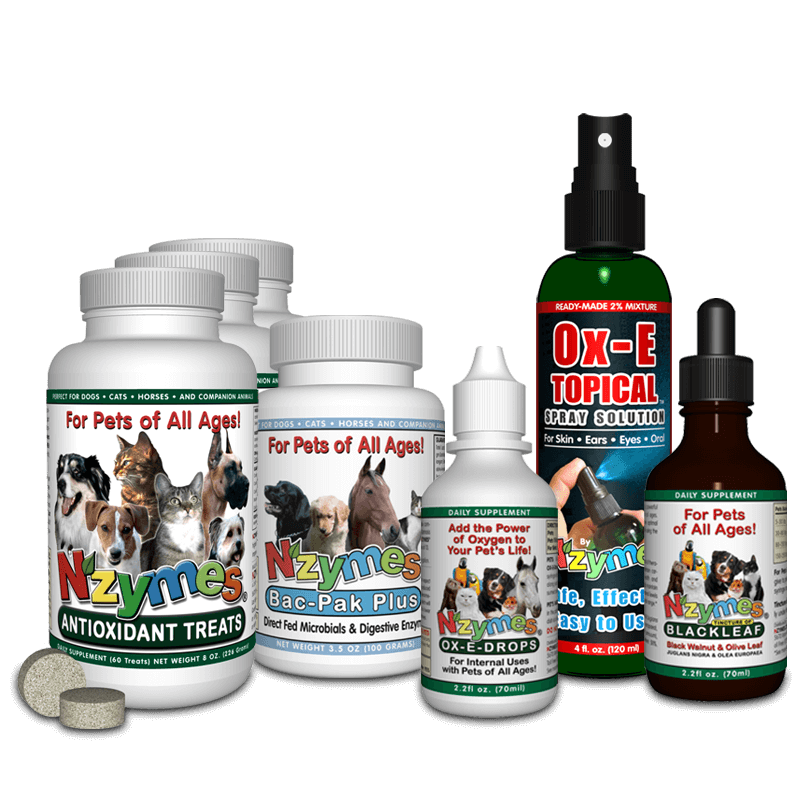 Each day your pet will need to take our NZYMES® Antioxidant Treats OR Sprouted Granules. They provide vital ‘live food’ dietary enzymes, which are completely missing in all cooked and processed pet foods. These key enzymes provide the mechanisms to help the body produce powerful antioxidant enzymes which play a vital role by helping the body to flush out the toxins from the yeast dying, as well as free radicals (at the cellular level). The enzyme increase supports healthy immune functions and can help promote faster recovery – while also enhancing Skin and Coat Health. NOTE: After the Start-Up Week (1st 7 days), you will need to double the usage of whichever product is in use for at least 60 days, or until major symptoms have shown visible improvement. After this period of doubling, the minimum daily requirement of either supplement should suffice to finish with all cleansing phases, AND to protect from relapse in the ‘after the fact’ maintenance period. The INTERNAL usage recommendation is “1 Drop per 20 pounds” of body weight – with a minimum of 2 Drops for small pets. For example – for a 73lb dog, you will add 4-drops into your teaspoon of water, then add that to the food. Do this morning and evening. It is also a good practice to add 3-4 drops to the water dish each time it is filled to keep the water fresh and help freshen breath when drinking. 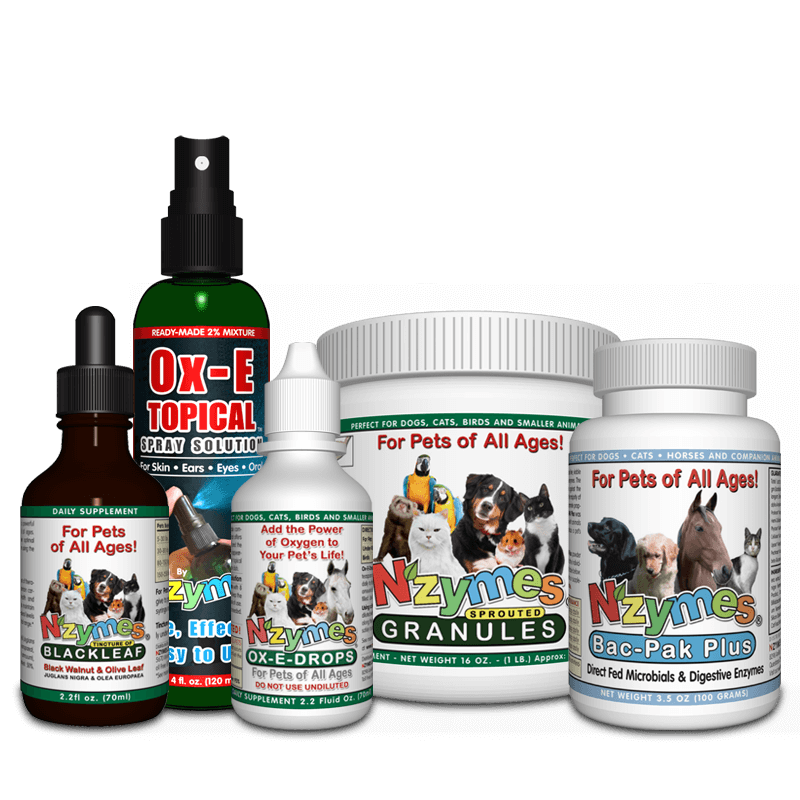 WARNING: Ox-E-Drops, as contained in the bottle, is highly alkaline (13pH); so, for safety, they must be diluted with water for either internal or topical use. As a very powerful Herbal supplement, the NZYMES® Tincture of Black-Leaf also plays a key role in assisting immune function in dealing with the invasive Candida yeast. Combining Herbal botanicals of Black Walnut, Olive Leaf, and Cayenne, this dietary supplement assists the body from an entirely different vantage point but is no less critical to Program success. The combined use of BOTH liquids has shown to shorten the Candida cleansing time, which may result in earlier relief from symptoms. The NZYMES® BacPak Plus powder is a powerful blend of digestive enzymes and Probiotics (good-guy microorganisms) designed to restore and maintain a healthy Micro Flora – which is essential to proper digestion, and helpful for the breakdown and uptake of nutrients to the body. Effective clearing of the troublesome YEAST (candida) from the body (digestive tract) is only possible if, upon the destruction of the yeast, you properly restore the beneficial bacteria as ‘master’ and support proliferation of those colonies. When combating an SYI, BacPak Plus completes a crucial component of the process. While the Ox-E-Drops, Black-Leaf, and NZYMES® Treats or Granules are helping the immune system to battle and flush out Candida yeast toxins, the 4th product of the kit, BacPak Plus, then gets busy delivering literally billions of ‘friendly’ bacteria to the system – to help repair the gut (and reverse damage that started the whole problem). It is critical to reestablishing these good bacteria colonies so that the body can gain back the lost territory given up to Candida yeast. We recommend WAITING 21 days to begin using the 4th product of the kit. Allowing 3-weeks for the cleansing/detox, to begin with, other products before beginning FLORA REBUILD seems easier on pets most of the time. Follow usage Instructions provided with your Kit; OR refer to the chart on the bottle for the amount to add to food once a day. NEVER ‘Double’ this product on this PROGRAM – unless instructed to do so by NZYMES® personnel. NOTE: A 1-Gram measuring scoop is included within the BacPak bottle. RULE 2: FEED ONLY APPROVED FOODS AND TREATS! PREMIUM Quality, Lower-Glycemic Foods MUST be Used! Why? Because Candida feeds on sugar! Therefore, starchy, high-glycemic ingredients like corn, potatoes, and wheat are no-no’s as primary ingredients! Unfortunately, many pet foods sold today are loaded with just these types of things. To achieve success with this program, low-starch food is a necessity. The Premium/Holistic foods needed are normally found at smaller specialty outlets, and not your grocery or big-box pet supply stores. Sorry, but the common inexpensive foods will cost you more in the long run – by working against you. And, Pet food simulation with premium foods, smaller recommended meal sizes are often recommended since there is greater nutrition in each bite. Also, many of the more pricey “Big Name” foods are still problematic due to their ingredient structure. In choosing a quality/effective food for your pet, it is essential that it utilizes a low-starch carbohydrate structure. Of all the ingredients listed, it is the TOP 5 or 6 ingredients* in the list that are of significant concern when determining the overall glycemic index of the food. *Here is where you want to see NO – Potato, Sweet potato, Corn, Wheat, White rice (brewers), or Tapioca. Grain-free or not Grain-free, Oh the Confusion! There is a great push on by the dog food industry these days to go “Grain-free”. And while that may sound like a good idea, it is not always the case. In fact, until recently we were advising our clients to avoid Grain-free foods altogether because of their use of Potato, Sweet Potato, or Tapioca. Many, if not most of the Grain-free foods on the market still use these items as principal CARB sources, but such ingredients must be avoided. Thankfully, a NEW generation of Grain-free foods is emerging that just happen to be ideal for an anti-Candida diet. They are also fairly ideal foods for diabetic or cancer support. Please use the Link above to see a listing of all our recommended foods for yeast-candida problems. Use the shampoos listed below for the best results. 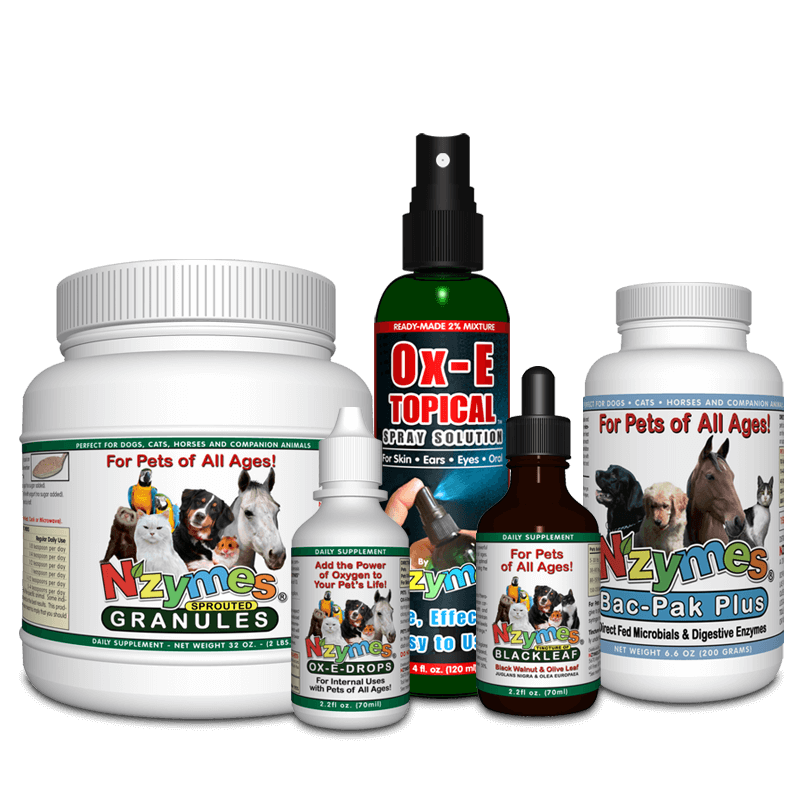 Search online for the product names below or see your veterinarian. The medicated shampoos are the ONLY ones we feel we can safely recommend. Many of the ones recommended are ‘prescription required’; so, it may be easier to obtain them online by doing a search. We highly recommend you choose a medicated shampoo from the following List of choices – all have shown to be highly effective with the Candida cleansing process. However, people often try other shampoo products, not on our list, and are NOT HAPPY with the results. We suggest searching online for a price and dealer that fits your needs. 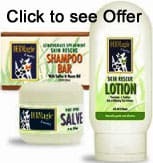 Dermagic’s Dog Essentials Includes The Skin Rescue Bar (w Sulfur & Neem), the Skin Rescue Lotion & Hot Spot Salve. There are other products that may work well. Use Baking Soda for the Final Rinse! Mix 2-3 teaspoons of BAKING SODA per gallon of water; make sure it completely dissolves. After bathing with the medicated shampoo, rinse the pet’s body with clear water and then do a FINAL RINSE with the Baking Soda and Water mixture. This helps to alkalize the skin and can be a very effective way to help reduce the overall itchiness and odor associated with yeast problems. Not needed with Dermagic. Yes, unfortunately, this part of the PROGRAM is the most frequently overlooked! Using the Ox-E-Drops 2% Solution is a MUST! The use of the Black-Leaf is on an “as needed” basis. 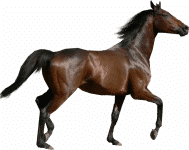 There are many reasons for doing these important topical applications; the most important one for you to keep in mind is – that this PROCESS will help ease the suffering for your pet, and also help move the recovery process along more quickly. It is easiest to use an 8-oz. container – bottle or otherwise – since it simplifies the task. Starting with 8 ounces of Distilled or purified water (in a bottle or other container), add 1 TEASPOON of the Ox-E concentrate to this water and lightly mix. NOTE: Store this mixture away from direct sunlight. If your pet will allow wetting the affected areas with a spray bottle, then use this method for efficiency. For pets with heavy or long fur, it is best to have them shaved down during the cleansing process so that you can see and work with the affected areas. They will regrow the coat. The idea is to wet the surface of the skin – wherever you see symptoms or itching/scratching. SPRAY, and wet all affected areas (3-4 times per day); work the moisture down to the skin – using fingers or cotton balls/pads. No need to leave the pet dripping all over so just deal with the affected areas. For those pets with negative reactions to ‘spraying’, you may need to use this more ‘touch and go’ technique. WIPE, and wet all affected areas with cotton pads or balls that are partially soaked with the 2% Solution. This process should produce less excess (dripping water) and may be easier to use for that reason. Again, the idea is to ‘get it to the skin’; wetting the hair is of no value. Saturate a cotton ball with the solution. First, drip 2-3 drops down into the ear canal, and let the dog shake off any excess; then use the wet cotton ball to wipe and clean, as thoroughly as possible, all areas of the ear canal and ear flap. You may need to wet and use a Q-Tip for tiny areas you cannot access with a cotton ball. Afterward, gently blot mostly dry with a cotton pad, ball, or soft, clean cotton rag (do not wipe). For fairly severe ear problems, this process should be done 2-3 times per day until better; then once or twice per week thereafter for maintenance. Saturate a cotton ball with the 2% Diluted Solution; first, drip 1-2 drops INTO each eye. If skin problems, irritation or itching is apparent, gently wipe all areas around the eyes and leave only slightly wet. IF no problems exist on the surface around the eyes, it may be better to just use a small DROPPER to drip 2-3 drops of the 2% Solution into each eye. OTHER TOPICAL PRODUCTS THAT REALLY HELP! Mix Black-Leaf concentrate drops with DISTILLED water – 1 part Black-Leaf to 3 parts water. Apply this mixture to the more serious areas – at least TWICE DAILY. 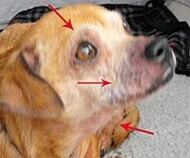 Of course, you must try to keep the pet from scratching or licking at these areas allow recovery to take place. Sometimes it may be better to make and apply the following PASTE. Add about a tablespoon of Baking Soda to a tiny bowl. Now take a tablespoon of water and add to it about 10-12 drops of Black-Leaf; then pour this mixture over the Baking Soda. Stir this mixture to create the desired paste for application to the sore(s). You may need to add more water or more soda to get a correct mixture. Once completed, apply the paste to the sores that need it – using a cotton ball, pad, or finger. This can provide the healing help needed while also providing some small amount of itch relief. This will not be harmful if the pet licks it, but try to prevent that anyway. Yes, BAKING SODA mixed with water used in the last phase of the shampooing process can be very effective at reducing the overall itchiness and smell, at least for a period of time. Simply MIX (2-4) Teaspoons of BAKING SODA per gallon of water; be sure to shake it up so it completely dissolves before using to rinse the pets’ body. DO NOT do any other rinse after this. Mix one or two heaping teaspoons of BAKING SODA with 8 oz. of water. Use this mixture with a spray bottle or cotton balls for the itchy, rashy areas. Reports show that it can be quite helpful for overall itchiness for some pets. Also, soaking a soft clean cloth with this solution, and leaving on a more severely affected area can be helpful to soothe the skin, reduce inflammation, and increase comfort or calmness. Mix one teaspoon of BAKING SODA with a little and add 8-10 drops of the Tincture of Black-Leaf. Rub the paste directly into the itchy rashes or raw areas. Reports state that can have up to 4-12 hours of relief from intense itchiness for such areas. before application – to allow alcohol evaporation. EQYSS PRODUCTS – Mega-Tek Coat Rebuilder – (http://www.eqyss.com/) This product is like a conditioner. Just squeeze out a good amount and rub it onto the areas that are rashy and itchy and let it dry. Also, you can use the Micro-Tek Spray. RULE 5: PREVENT DAMAGE TO THE SKIN, FACE, EYES, AND EARS! STOP THE CHEWING, SCRATCHING, RUBBING AND BITING! Please recognize that, with yeast issues, the general itchiness is coming from the inside out as a result of the toxins clearing via the skin. Heat and humidity tend to push these toxins to the surface especially during summer months or in warmer climates and also in winter months when furnaces and heaters are active. Apply Cold-packs to the warm or reddened areas to reduce the inflammation & itchiness! Use Cold-Packs or Wet some washcloths or hand-towels and keep in the Refrigerator to apply to the areas that become warm from the pet’s licking and chewing. Cooling the area for 4-5 minutes can reduce the itchiness very effectively. Each time they scratch, chew or lick, they create more damage. As they scratch and chew the skin becomes HOT and the itch intensifies and becomes more severe. We suggest using cold packs to cool the skin and reduce the itch and inflammation. Pets will often chew themselves until they bleed, so they can’t be left alone without the protection of a soft collar. The itch will not fully leave until the toxins in the body have been flushed out and the GI tract’s functioning and natural flora is properly restored. Trying to maintain some level of comfort for your pet is the most challenging part this program. Therefore, we provide as many ideas as we can to try to help. 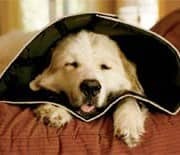 Comfy Cone – Provides a soft cone that can be folded when need-be, and allows dogs or cats to eat, drink, and do similar activities fairly normally. Elastic loops allow threading the pet collar – keeps the Comfy Cone secure and in place. Allows pet to eat and drink in comfort; Collar can be folded back for easier access to food, water. Velcro closures adjust and open easily so there is no hassle with putting a pets’ head through. ProCollar® – The ProCollar® is a premium protective collar that is designed to protect your pet from reaching injuries, rashes, or post surgery wounds. The ProCollar® has an inflatable inner bladder made of a plastic vinyl that is inflated through a two-way air valve much like a beach ball. Once inflated, the size and thickness of the ProCollar® function as a soft deterrent. 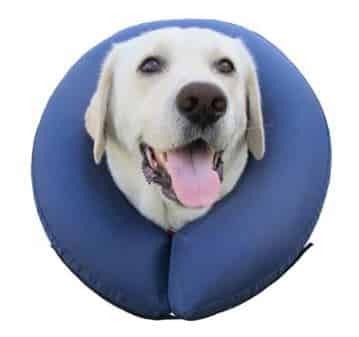 The inner bladder is protected by a pliable plastic outer jacket lined with a durable canvas material to resist bites and scratches. The ProCollar® is held in place by inserting the pet’s everyday collar through the ProCollar®’s three inner rings. The velcro strap should be placed at the back of the neck and then adjusted for a perfect fit. While wearing the ProCollar®, pets are able to eat, sleep and play at ease while staying protected. To prevent another animal from biting the patient’s collar; Rub with bitter apple or ammonia. The ProCollar® is machine washable or can be washed with anti-bacterial soap and/or ammonia and laid flat to dry. Always monitor a pet post-surgery to ensure that the collar is working properly. Some pets may be able to maneuver around any collar. This Program Takes Considerable Time. …for solving Candida Overgrowth problems. Our PROGRAM does take considerable time; but, as you can tell by the length of the page and the instructions, this is a very complex issue – with a complex process to reverse the damage. The time for overall VISIBLE improvement averages 3 to 7 months. This timing (in most cases) should clear the observable symptoms; HOWEVER, at this point – it can easily take an equal amount of time to complete the INTERNAL healing process, and result in a pet returning to wellness! Completing this is what we refer to as ‘Sealing the Cavity’; in other words, beneficial bacteria colonies regained control of intestinal tissues and most Yeast has been removed from these tissues. Medical research shows that you may never clear all the yeast from the system; this, along with relapses we see, accounts for our recommendation for continuing with our maintenance program. Also, the cleansing process will surely take longer for pets that have been suffering longer – possibly a month or more for each year the illness has affected the pet. Then, you can expect increased time where there is a history of medication usage – including the use of antibiotics, steroids, and antihistamines. Keep in mind that vaccinations, being one of the causative factors for such illness, can also increase the timing, OR actually regress progress. So, deferring any vaccination schedules is a good idea where possible. NOTE: Heat (SUMMER and furnace in WINTER) is the most significant activator as it pushes the yeast toxins to the surface. The symptoms, including itchiness and inflammation, often appear to worsen during the initial 2 months of the program, usually beginning at about 3-4 weeks. This Herxheimer effect of the body detoxifying often lasts for an extended period (2-3 months). The process of cleansing Candida can produce flu-like symptoms, nausea, loose stools and diarrhea in the beginning and the pet may appear lethargic. Make sure to keep an eye on your pet’s general health and temperature and certainly please don’t allow them to chew themselves to bleeding if possible. DON’T AVOID treatment by your Vet for secondary bacterial infections that are a result of pet scratching or chewing themselves.